Tuesday 27th May 2014 – 6.10pm – Murray MacGregor. A jogger’s pursuit of fitness has resulted in him ending up in hospital with potentially serious injuries after a collision with a motorbike in Warwickshire. The crash happened in Lutterworth Road in Nuneaton at just after 5.10pm on Tuesday afternoon. Two ambulances and a paramedic rapid response vehicle were sent to the scene. A West Midlands Ambulance Service spokesman said: “On arrival, ambulance staff found a 65 year old jogger next to parked cars and a motorcycle nearby. “The man had sustained a head injury and was concussed. In addition he had a possible internal injury and pain in both elbows. 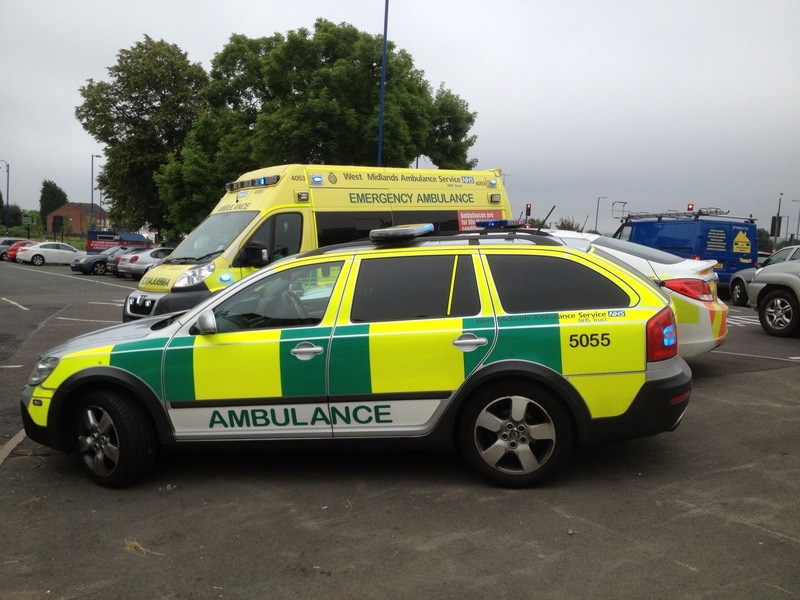 After being assessed and treated at the scene, he was taken on blue lights to the major trauma centre at University Hospital Coventry & Warwickshire.